On 10 August 1792, Count Pierre Louis Roederer (15 February 1754 – 17 December 1835) went to the Tuileries Palace to lead the Royal family out of a building that had been both their prison and their refuge, since the Women’s March on Versailles (5-6 October 1789). Louis XVI was expecting Antoine Galiot Mandat de Grancy. Why had monsieur Roederer come to the Tuileries? Roederer replied that monsieur Mandat, Lafayette’s replacement, had been killed the night before. Lafayette had left Paris on 30 June 1792, denounced by Robespierre. As a result, the National Guard no longer had a commander and the revolutionaries had inflammed the Paris Commune. The king told Roederer that, alone, his Garde suisse could not protect him. The Insurrection of 10 August 1792 was organized on 9 August, by revolutionaries led by Georges Danton. They took possession of the Hôtel de Ville and were recognized as the legal government of Paris on 10 August 1792, the next day. The Bastille housed seven prisoners. Matters differed on 10 August 1792. The king and his family lived in the Tuileries Palace. Roederer proposed that the king review his National Guard, whom, he believed, were still serving the king, but they were defecting. They were joining 1) the sans-culottes, wearing pants, not knee breeches, and sabots, clogs, as in sabotage, 2) the fédérés who had come to Paris from Marseille and Brittany to celebrate the Fête de la Fédération (= fédéré), the festival commemorating the Storming of the Bastille and 3) the insurrectional Paris commune. In short, the only protection afforded the king was his Swiss Guard and his only shelter, the National Legislative Assembly, which would be suspended on 10 August 1792, as well as the authority of the king. 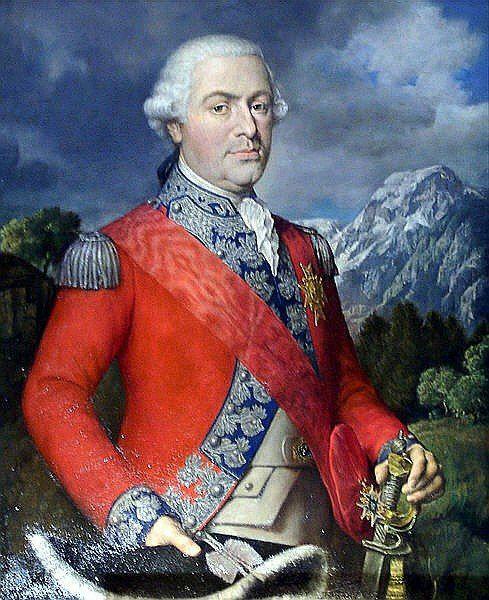 Commanding the Swiss Guards, the day of the Insurrection of 10 August 1792, was Karl Josef von Bachmann. He accompanied Pierre-Louis Roederer who was leading the king and his family to the National Assembly. (He is not shown in the video I have inserted, which is otherwise excellent). When Louis heard shots, he sent a note instructing his Garde suisse to run to safety. They didn’t. As for the king and his family, if the National Assembly was their only refuge, they had no refuge. The king told his son that, from then on, France no longer had a king. Out of a total of 900 men, 600 Swiss Guards were killed or fatally wounded on 10 August 1792. Karl Josef von Bachmann was tried and guillotined on 3 September 1792. Other Swiss guards were also guillotined. Karl Josef von Bachmann‘s trial was interrupted by the September Massacres, a prelude to the Reign of Terror. Fearing prisoners would join an invading army, radicals decided they should be killed. Swiss Guards were also killed. By 6 September, half the prison population of Paris had been summarily executed: some 1200 to 1400 prisoners. Of these, 233 were nonjuring Catholic priests who refused to submit to the Civil Constitution of the Clergy. The French Revolution was a turning-point in both the history of France and that of other European countries. In 1806, there would no longer be a Holy Roman Empire. As noted above, I have inserted a video. It is a French-language video showing Roederer speaking to the king and to Marie-Antoinette. It also shows the king’s failed attempt to review the National Guard, and the Royal family being led to the National Assembly by Pierre Louis Roederer. Roederer was accompanied by Karl Josef von Bachmann, the commander of the king’s Swiss Guard who is not featured in the video I have selected. There is more to tell about the Swiss Guard. They were in North America during the War of 1812. Many settled in Lord Selkirk‘s Red River Colony. The Lion Monument, in Lucerne, is the work of Danish sculptor Bertel Thorvaldsen (19 November 1770 – 24 March 1844).